WABC has been in business for three decades. In that time, our firm and associates have honed specialized accounting skills in a number of industries. We take pride in the expert financial counsel we offer in the following fields. 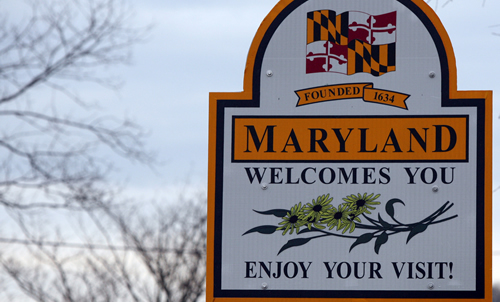 WABC is a member of the Maryland Motor Truck Association (MMTA) and has 30 years of experience working with trucking firms on audits, consulting and taxes. WABC has served as a trusted source of information and financial advice for the industry. Our team maintains up-to-the-minute awareness of tax codes and other policies affecting the industry. WABC’s hands-on approach and expertise in medical accounting helps clients make wise business decisions. Whether you’re looking to sell your practice, enter a partnership or strategize about employee benefits, WABC can guide you. We advise medical practices, physicians, physicians groups, nursing homes and medical supplies companies on a variety of issues including retirement plans, employee benefits, tax planning, compensation and business consulting. WABC Principal, Jeff Coleman, has his law degree and is closely affiliated with the Maryland State Bar Association. WABC has experience in providing sound financial counsel to law firms and attorneys nationwide. Well-versed in the industry, the WABC team is able to advise law firms on all accounting matters including employee benefits, company mergers, personnel issues and more. WABC will be your trusted partner, providing you with accurate information and timely advice. Our in-depth knowledge of the construction industry ensures that you are up-to-date with the latest changes affecting your business. We are diligent in finding tax savings opportunities for contractors. Your tax exempt status is crucial to your financial success. We’ll handle all aspects of IRS reporting and make sure that your accounting system is built around the necessary revenue and expense classifications the IRS demands. Manufacturers consistently face emerging technologies as well as new tax laws. WABC is well equipped to advise you on a wide range of manufacturing policies and protocols. If your focus is research and development, we can help you account for development costs and eventual implementation. Let us help you grow your ideas into a profitable bottom line.